Add this to the list of good reasons to check your credit card bills regularly: According to Joe Sharkey in this New York Times article, hotels are a common target of credit card hackers. Based on a study released this year, 38 percent of last year’s credit card hacking cases involved hotels. Yikes. 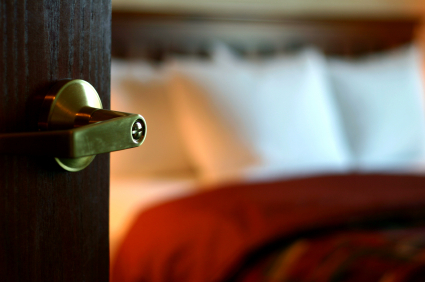 So as a hotel guest, what can you do to protect yourself? Check your credit card statements regularly, especially after hotel stays. And shred all receipts and other documents with personal information that could be used in credit card fraud. Having spent three of the last seven nights in a hotel, I bet you can guess what I’ll be doing as soon as I finish writing this. Do you have more advice for keeping your personal and credit card information safe on the road? Share it with other readers in the comments below.